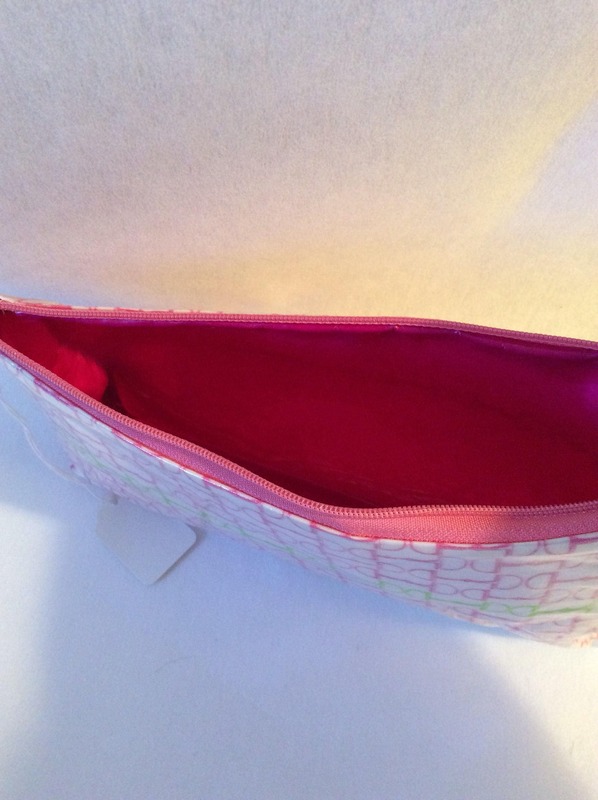 This adorable bag is covered with hot pink and green snaffle bits. It is waterproof and dirt proof as it is organic cotton covered with vinyl so you can wipe it clean both inside and outside. 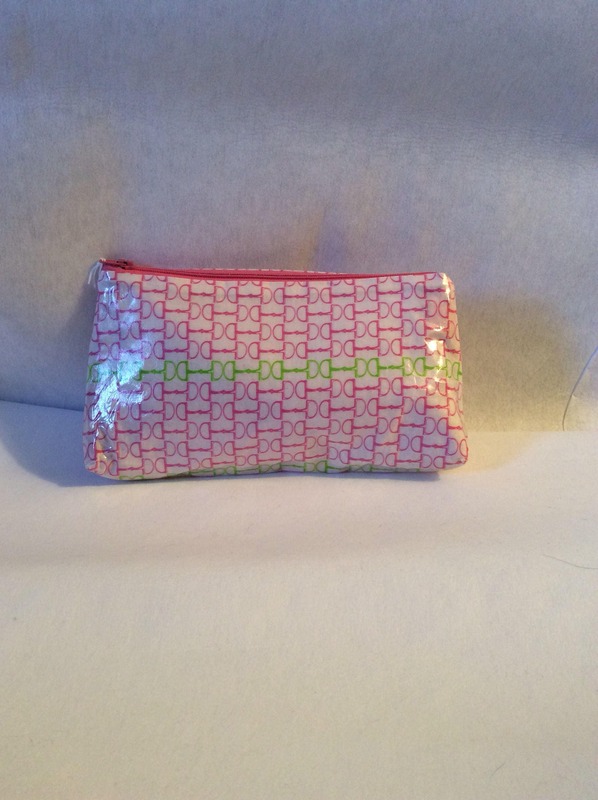 The bags is lined in a hot pink fabric. Makes a great cosmetic bag and also a great bag for your tack trunk to keep spurs, gloves or whatever you want together and protected in your trunk.